Capcom have released a new trailer for Hyper Mega Giga Ultra Street Fighter IV. 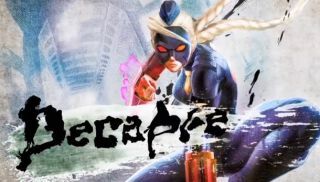 As well as rounding up the four already-announced playable characters set to make an SF4 entrance through this upcoming upgraded edition , it also reveals the fifth, entirely new fighter: Decapre. She's a brainwashed member of creepy-ol' Bison's all-girl Dolls squad, and, as is traditional for the Street Fighter universe, is proficient at the punching. As well as the new characters, Ultra Street Fighter 4 will re-jig the battle system slightly, and, perhaps more importantly, will K.O. Games for Windows Live in favour of Steamworks. Capcom also recently announced an edition select feature , letting players fight as pre-balance tweaked versions of each character. Ultra Street Fighter 4 will be available for PC in August, both as a standalone game, and as an upgrade for the current Super Street Fighter 4: Arcade Edition.